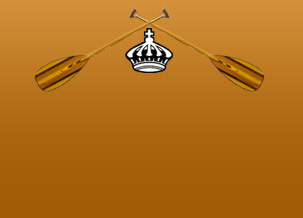 Formed in 1929, Kai 'Opua Canoe Club is one of the oldest outrigger canoe clubs in the State of Hawaii. Located in Kailua town on the Kona Coast of Hawaii Island (The Big Island), Kai 'Opua Canoe Club offers outrigger canoe racing to people of all ages, from keiki (children) to seniors. With teams ranging in ability from groups of novices to world champions, we provide activities for enthusiasts of all levels. In addition to the traditional single hull races, there are also one-person, two-person and double hull races at regular and long distances. Races and regattas occur nearly every weekend from May through September at various locations around the island. At the end of the regular season, a state-wide championship race is held to determine the best in the state among the members of the Hawaii Canoe Racing Association (HCRA). Kai 'Opua Canoe Club is also host to the World's Largest Long Distance Outrigger Canoe Races - "The Queen Lili'uokalani", now in it's 48th year. Crews from around the world converge on Kona for this prestigious event every Labor Day weekend. For more information on this event, visit our Queen Lili'uokalani - Race Schedule page. You can find out much more about the race and sign up for this year's event in this section. For more information about our organization or the sport of outrigger canoe racing, contact us or visit our History page!